NAC Breda youth product Fouad Idabdelhay signed a 2-year contract abroad in July 2011. The former Holland youth international signed for German Third liga outfit Vfl Osnabrück on a free transfer. After 9 appearances without goals, and several injuries, the club cancelled his contract in January 2012. After keeping up his fitness for a long time at FC Dordrecht and trials in Morocco, he signed in February 2013 for the rest of the season in Dordrecht. Idabdelhay is available on a free transfer since July 2013. 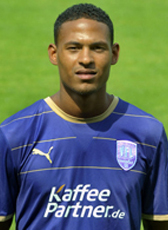 At the end of August, he moved to Cyprus on a contract until 2015. In 2014 he continued in Casablanca, Morocco. His contract expired in summer 2015 and he returned home looking for new opportunities.